From Beginner to Intermediate Orienteering In Just Three Days! Bob Turbyfill's "Zero to Orange in Three Days" course is designed to take you from knowing nothing about orienteering to the skill level you'd need to compete on an orange (intermediate) level course. WHEN: Saturday and Sunday 4-5 May 2019 with day 3 on Sunday 19 May and again in the Fall of 2019 (watch for future details).! Advanced registration is required; click here to register (and pay). $45 dollars for all three days which includes cost for the maps and registrations on all orienteering courses. The course fee will be posted when registration details are available. Park entry fee $5.00 per automobile for instate license and $7.00 for out of state license on day one and $8.00 per vehicle for all non-County residents on day three. Bob has developed a systematic approach to teaching and coaching orienteering over a 30-plus year period. His in-depth and broad involvement and his intimate familiarity with the sport enabled him to apply a common, worldwide language to understanding the sport, based on a logical and systematic progression. His skills and techniques development scheme makes good sense; is easily taught and understood; and has the potential to revolutionize the instruction of orienteering far beyond the borders of the USA. 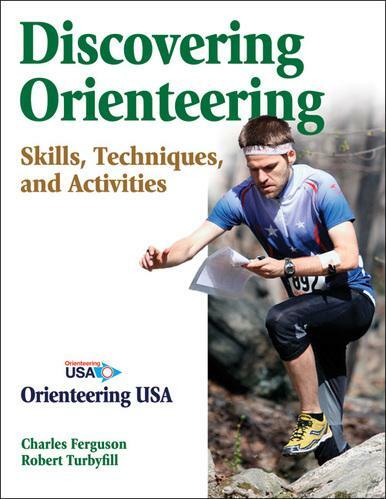 In 2013, Bob co-authored, along with Chuck Ferguson, a comprehensive guide to the sport entitled Discovering Orienteering, which was published in cooperation with Orienteering USA. The royalties from the sale of this book will benefit American orienteering for decades to come. Bob has tirelessly dedicated himself to raising the level of proficiency across the US, and we are grateful that he has volunteered to lead this weekend’s course (which he and fellow QOC member Chuck Ferguson) have developed.